Representative example: If you borrow £3,000 over 36 months at a Representative rate of 29% APR and an annual interest rate of 10% (fixed), you would pay 36 monthly instalments of £120.46. The total charge for credit will be £1,336.56 and the total amount payable will be £4,336.56. Are you eligible for Guarantor My Loan (Homeowners only)? 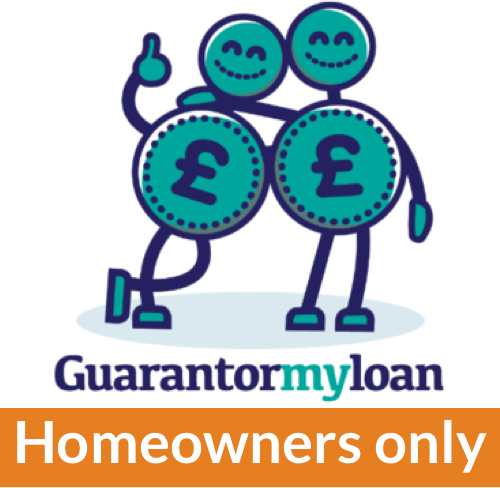 Guarantor My Loan (Homeowners only) customer reviews. Guarantor My Loan are a UK based guarantor lender offering up to £10,000 over up to 5 years with a homeowner guarantor. You don't have to have been a resident of the UK for a specified length of time and you don't need to have a good credit history in order to get accepted. Your question for Guarantor My Loan (Homeowner) has been submitted. What would you like ask Guarantor My Loan (Homeowner)?